Game on! Prince Harry's future bride once had a role on the popular show "Deal or No Deal" hosted by Howie Mandel. 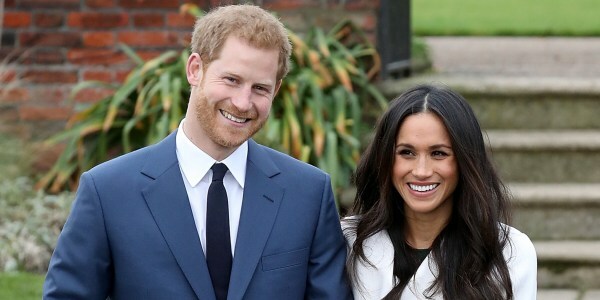 Pretty soon, Meghan Markle will be a royal. But Prince Harry's future bride has had a 15-year career in Hollywood, and it hasn't all been starring roles on "Suits." Everybody has to start somewhere, and one of Markle's earliest gigs was ... opening silver briefcases on the game show "Deal or No Deal." Thanks to Game Show Network, it's now possible to watch her as one of models who paraded down a lit-up staircase and waited for a contestant to call out the number on their briefcase while host Howie Mandel guided them through the stressful process of trying to win as much money as possible. In the clip, Markle proves to be a smiling, perky briefcase-opener, carrying No. 11. When the contestant calls her number, she opens it to reveal ... $5! Which in the parlance of the game is actually a good thing. Smiles all around! We're glad to see she truly went to greater heights after this gig: it can be a grueling road from soap operas (Markle was on "General Hospital" in 2002) to random roles ("Hot Girl" in the 2005 movie "A Lot Like Love") and then to game show model (Markle's episodes on "Deal or No Deal" are from 2006-07). She landed her regular role on "Suits" in 2011, and will leave in 2018 for her greatest role yet: American bride to British royalty. She'll soon have someone opening briefcases for her! "Deal or No Deal" currently airs on GSN weekdays at 11 a.m. ET.